DeviceRank™ is AppsFlyer’s proprietary, anonymous device fraud rating, and the only solution of its kind. Built from AppsFlyer’s massive, real-time anti-fraud database (aka The Vault), DeviceRank™ rated devices based on over a dozen points of anti-fraud metadata. Ratings span from A, AA and AAA for devices with strongly non-fraudulent metadata signatures, to B – suspicious for devices with sufficient fraud signals, and C for devices known to be actively perpetrating fraud. 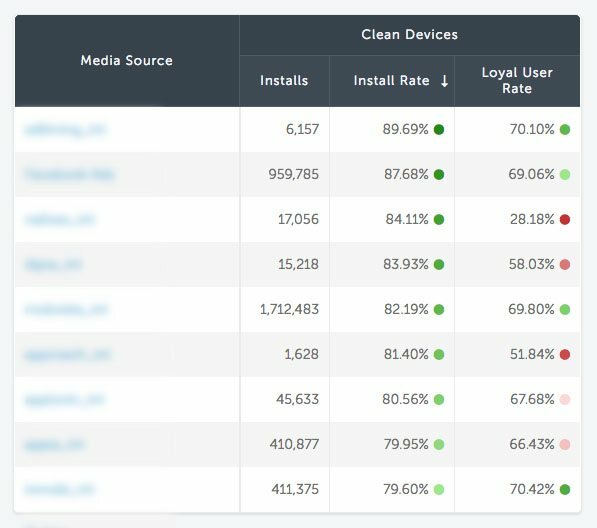 By default, AppsFlyer blocks all clicks, installs and engagement from C-rated devices. 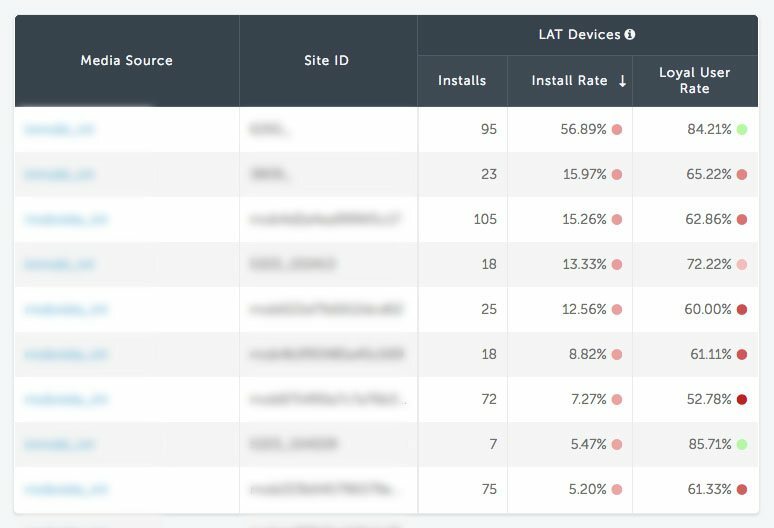 Device metadata profiles are updated with every click, install and engagement, providing the world’s most comprehensive device-based protection. Marketers who use Protect360 enjoy the full value of DeviceRank™ reporting, including DeviceID Reset Fraud detection (identifying sources with large numbers or high densities of “New Devices”), Suspicious Device detection, Limit Ad Tracking Fraud detection, as well as Clean Device reporting.